How do you go about creating a memorable character, a Holden Caulfield or a Charlie Brown, someone who grips your attention and no matter what they do, you'll keep turning those pages to keep up with them? It's a good question. 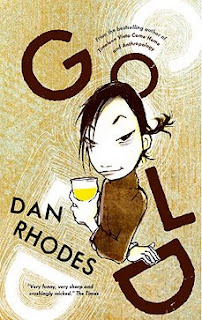 The protagonist in Dan Rhodes' Gold could be one of those characters. She is a half-Welsh, half-Japanese, bibliophilial, beer drinking, junk-food eating, cuticle-nibbling, thirty year-old lesbian painter and decorator going by the name of Miyuki. The book records a week in which she goes on her annual midwinter holiday to trek along Pembrokeshire coast without her partner Grindl as a way of keeping their relationship interesting. She's been going to the same unnamed village for eight years straight. I had never heard of the book when Canongate asked me if I wanted a copy to review but the wee bit I read about it piqued my interest. On researching the author I discovered that he had also written a collection of short stories entitled Anthropology and a Hundred Other Stories. I had bought this for my daughter a couple of years back, so there must have been something about him because, as my late mother was fond of saying, "I don't buy rubbish." Canongate's blurb says of it "you'll laugh, probably cry and you'll be finished in time to go to the pub," and I have to confess – and believe you me it feels like a confession – I did laugh out loud twice, albeit briefly and not very loudly, but I managed to rein in the tears. As for it being a quick read? Yes, most definitively – I finished it within a day without pushing myself. Tall Mr Hughes, short Mr Hughes and Mr Puw were standing at the bar of The Anchor. 'You know what we would be doing right now if we were alligators?' asked tall Mr Hughes, who had hardly spoken about anything but alligators for three consecutive evenings. It had been alligators this, and alligators that. If your first thought is of Cliff from Cheers then you're not far off the mark but that is only one side of tall Mr Hughes. There are only a few recurring characters in the book: the three old barflies, tall Mr Hughes, short Mr Hughes and pot-bellied Mr Puw; Mr Edwards, the landlord of The Anchor who appears incapable of saying anything other than “Holy Mackerel” and yet who also manages to infuse this expression with a wide variety of meanings and depths of feeling; Septic Barry, the long-haired caravan park lothario; his girlfriend-of-the-moment who doubles at The Anchor's barmaid and The Children from Previous Relationships. Rhodes introduces each of these in the same way, presenting only enough information to enable his characters to deal with the plot-such-as-there-is up to that point; half the book passes before we find out who the heck The Children from Previous Relationships really are and it's not until page 188 we discover Septic Barry's girlfriend's name. Little by little Rhodes fleshes his characters out; they become real to us; we start to care about them. Flashbacks are used extensively and effectively. Much of the book is concerned with how little people know each other or need to know about each other. From what I have seen and read about the Welsh people it seems like a lot of them are like us Scots, a bit backwards in coming forwards with regards to relationships. They don't feel this overbearing compulsion to put things into words for them to make sense of life. And if they do, then they use as few words as necessary. If Japanese poetry is anything to go by I expect they're much the same. There is a lot of repetition in Gold but it's really more like theme and variations; every day she is there is pretty much the same but different. When she walks into the pub at the start of the book, an act she repeats daily for the rest of the book, everything is as it was the last time she was there the year before, the punters, the landlord, even the pike on the wall with which she has a strange bond due to the fact it was framed when she was born so she has come to regard each of them as the same age. There is an odd sub-plot too if you can call it a plot; it's more of a recurring motif. Did you realise that if you sneeze one-hundred times and nobody says, "Bless you," then you will die? As the days drag by Miyuki keeps a running total of how many times and, as the week wears on, she begins to get perilously close to the edge. (Before you rush off and start googling it, Rhodes confirmed in interview that he made up the whole thing). To my reading the book is essentially about love without being a romance or even especially romantic (chick-lit it is not); it is a dissection of the nature of love (and it is only coincidentally love between two women) but we only get to examine one side of the relationship; until the last two pages of the book we only see Grindl through Miyuki's eyes. The one thing Miyuki has stipulated in this relationship is that they spend one month each year apart as "a lesson in not taking one another for granted" and during that time they are not to make contact. Grindl globe-trots. Miyuki travels a mere one-hundred miles to Pembrokeshire where she drinks too much beer, subsists off junk food and, in her "quiet moments of desolation", pines for Grindl. She brushed her teeth, set her alarm and got into bed. She sniffed, sneezed her eighty-first unblessed sneeze and picked up her photograph of Grindl. She gave it a kiss. She was missing her so badly she could feel it in her toenails and her kneecaps. It is an interesting and believable relationship. Up until meeting Grindl, Miyuki has simply been content to be the lesbian-girls-have-a-fling-with- to-see-if-they’re-really-gay. Now she has someone who stops her living on Pot Noodles, Jaffa Cakes and Pepsi Max. There are a number of pivotal moments in the book. The first is where Miyuki decides to spray one of the rocks on the shore with gold paint; it is not the success she had hoped for and the result and its effects on her are significant. It is apparently reminiscent of some of Rhodes earlier work, the short story 'Landfill', where Maria turns town dumps into beauty spots. Miyuki wondered if he was right, and that it should mean something. The trouble was she hadn't thought deeply about it; she had only done it because she thought it would give the occasional passer-by a welcome surprise. The second moment, and one that strangely enough hinges on the first, is where tall Mr Hughes vanishes and how it affects the small community. She saw herself sitting in The Anchor in a year's time, with short Mr Hughes and Mr Puw standing at the bar, staring into space and saying, He's probably visiting relatives, or something, and He'll be in tomorrow – he's not going to miss three-hundred-and-sixty-nine days in a row. The final one is where she decides to cut short her holiday and go home early and on her way there the book reaches its not-so-grand and frankly quite subtle and underplayed finale. I wondered what Rhodes hoped to gain by having his protagonist of mixed nationality but I see this as something of a metaphor that is echoed in other aspects of the novel. That he chose Pembrokeshire is interesting. Pembrokeshire looks quintessentially Welsh, but is often referred to locally as 'Lloegr Bach' ('Little England'). I had expected a close-knit, even closed-off community and was surprised to see her as accepted by the locals as she is, but she is still "the Japanese girl" even when seconded to the pub quiz team, if only to answer questions with an Oriental flavour, the men name their team, "Hughes Pew Hughes Japanese Girl." As it turns out, although conceived in Osaka, she is, to use her own terminology, “[a]s Japanese as laverbread” (a Welsh delicacy made from seaweed) and only knows as much as she does about the Far East because she has, after years of disinterest in her roots, begun studying up on it to assuage the constant questions she has found herself expected to know the answers to throughout her life. In her local community where she works with her partner, no one refers to the business by its proper name; people just call them, "The Lesbians." This is as much a novel about identity as it is about anything else. Rhodes has been likened to Magnus Mills, a writer I'm not familiar with but one Rhodes reads, though if what I've read about Mills is accurate then I get the comparison. Mills is reported to have a deceptively simple, dead-pan style whose books focus on the very common man so I can see where they're coming from. That said, Gold seems a bit of departure from much of Rhodes earlier writing which I've seen described as "a curious blend of charm and brutality" – I don't find anything particularly brutal about it at all. One reviewer (Claire Allfree in the Metro) referred to all the character in this book as vacuous. Granted they are not heavily delineated characters, more pencil sketches, but it takes a subtle hand to make the right strokes in the right places and Rhodes does this very well, He doesn't pour information over our head on page one, rather he presents one piece, lets it grow on us, then another, then another. 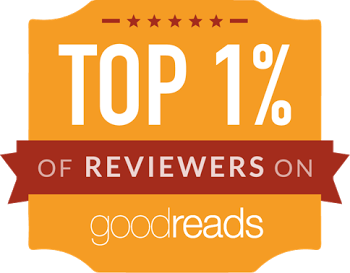 It is also a very effective way of keeping the reader’s interest. Apparently Gold spent an entire month in Heat magazine’s Top 10. I'm really not sure that statistic does this charming little book any favours at all. Maybe I shouldn't have mentioned it. 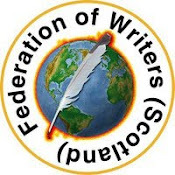 I know myself when I'm not writing a part of me feels that I ought to be writing, that I don’t deserve to keep calling myself a writer unless I am writing, so I like the idea of an author who only writes what he believes in even if that does make both of us sound a bit idealistic. My big problem is whether or not to call Gold a literary novel. I don't think it is but I think that says more what is wrong with literary novels than what's wrong with this book because I don't think there is anything wrong with this book. It is not a book I would have bought purely because of how it's been marketed; it looks like a holiday read (especially the misleading cover of the 2008 B-format reprint which is what I was sent) which again says more about me than it does about the book. So is Miyuki Woodward going to become a literary icon, a Welsh Holden Caulfield? No. Nor would she expect to be. She won't be the next Bridget Jones either. The book will run its course, go out of print and she'll be forgotten. The thing is, I don't think she should be, not yet. A one-line poem that does not exceed one line of type on a page and is intended to be read as an unbroken line without reference to any other line that surrounds it. A one-line poem does not include forced pauses, indicated by space, grammar, syntax, or punctuation. Predictably the earliest one-liners date back well before this time. To my mind that last poem so reads like a poor man's 'Red Wheelbarrow'. This is an interesting article on the subject: From One-line Poems to One-line Haiku. In another essay by Bob Grumman, Mnmlst Poetry: Unacclaimed but Flourishing, Grumman suggests that one-word poetry probably dates back to the 1920s with the experimental poems of the Dadaists but didn't find its feet until the late sixties and early seventies with the work of Aram Saroyan and Richard Kostelanetz. The first poem Grumman cites in his essay is 'Light', one of the one-word visual poems of Richard Kostelanetz's sequence, Genesis. In which each of his poems represents one of the seven days of Creation in a different, page-filling typography. "LIGHT," the first, is printed in pedestrian stencilled lettering – but dazzles because (1) it arrives on a black page immediately after a white page; (2) its letters are boldly solid rather than diffidently outlined like the smaller letters of the sequence's title on the previous page; and (3) its letters are fused, which makes them seem not a recognizable word, but light itself – until they clarify as an appropriately fully-unified, over-flowing proto-word for . . . Everything. To be fair, the poem has the two elements I mentioned earlier – ignoring, for the moment, the peculiar graphics – in that the title of the collection grounds the work but the poem depends heavily on its special presentation. 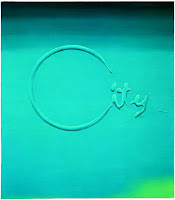 My question is how does this differ from the visual art of someone like Yves Klein? The picture at the top of this article is one of his. I'm not saying that it matters but is this poetry or art? To state its title is to describe it completely, for it comprises just the single, normal word, "utter," in capital letters on an otherwise blank page. I have much sympathy for anyone whose response to this is consternation. What in the world is the point of it? Well, when I first saw it, I was much helped by my previous experience with works like Kostelanetz's Genesis. I automatically thought of the opening of the Gospel of John, "In the beginning was the Word." "UTTER" thus seemed to me a command to express oneself, be an artist, climb into the grand creative power of utterance: UTTER! Such a command was particularly appropriate in the magazine where I first encountered it, a newsletter for a poets' association. Then the idea of what "utter" means as an adjective occurred to me--and expanded into thoughts of how utterance relates to absoluteness, and how it is exclusively the act of uttering that can truly complete any part of reality, by naming it into full comprehensibility. The power of utter, the utter power of it! Also in the poem for those who listen to it long enough are the pun, "udder," and auditory hints of "upper" and "under." For so short a work, the poem is thus extremely sensually and connotatively rich. Here three words are spelled together not only to produce the richly resonant "double-haiku," graveyard / dusk / killdeer // graveyard / us / killdeer, but strikingly to suggest the enclosure (like letters by a word) of two or more people (a couple--or, perhaps, all of us) by an evening – or some greater darkening. "Even a five-word poem has a beginning, middle, and end," said Saroyan, "A one-word poem doesn’t. You can see it all at once. It’s instant." My first thought about a poem like this (I will not debate whether it is a poem or not) is, "Am I supposed to take this seriously?" and then it struck me that maybe my problem is that I'm looking for profundity where there is none. Ron Sillman said of it that it "just sits there on the page doing not much of anything" and I tend to agree with him. The best I can make of it is that it is mimicking the kind of optical effect you get when looking straight at a light source. Light can illuminate. It can also blind. Nathan Austin provides a counter-argument in his blog This Cruellest Month. Huth, if you read his work or his website, is the most serious theorist of visual poetry I’ve ever seen. He is, in a sense, exactly what the genre needs, a systematic thinker and a goad, someone who will – by example if nothing else – prod others to try harder, do better. I have spent some time on Huth's site which I found quite a long time ago and Sillman is right, Huth is very serious about what he does but does the word "wobbly" suddenly become profound if we get James Earl Jones to intone it? I'm not sure that poems like 'em ty' are any more than a visual pun and John Brannen’s 'laugnage' simply emphasises what the psychologists have been telling us for years, that our brains can uncsrmable qutie cmopilctaed blcoks of ltetres as lnog as the frist and the last ltetres are crroect. As an exercise for myself I've been taking part in The Unskilled Poet's daily challenge. Some of the results have been interesting in particular the fact that I wrote my first – and probably last – one-word poem, two if you count the title (I'm old-fashioned that way). It seems like as good a place to leave this. I left some notes on the site when I posted the entry if you're interested. In 1973 Joyce Holland edited a collection of 104 one-letter poems called Alphabet Anthology. That must have been hard work. (Sorry, that was bitchy). In the index she listed the totals of the individual letters chosen by contributors as their poems. The most popular was 'O'. No one submitted 'C'. It had to happen. Blank space is what Hugh Kenner liked to call the 27th letter of the alphabet and its use in poetry is something I may come back to in the future. Rothko and Malevich did all black and all white paintings, Cage wrote music without any notes and in 1978 Richard Kostelanetz "wrote" not one but two books consisting of nothing but blank pages, but they have covers with titles: Tabula Rasa: A Constructivist Novel and Inexistences: Constructivist Fictions. Not actually sure if there's any poetry in the second one but Vsevolod Nekrasov has since published a poem with only a comma in the bottom right-hand corner of the page. An immediate question is: "Is this a poem?" More basically: "Is it even a text?" If you found such a piece of paper on the floor or the street, you would not consider it so. It's doubtful you would even notice the comma on the page. In his interesting post What One Note Holds: The Short Poem Mark Granier cites a couple of poems, one by Don Paterson, 'On Going to Meet a Zen Master in the Kyushu Mountains and Not Finding Him', and James Wright's 'In Memory of the Horse David, Who Ate One of My Poems' where the title is all there is to the poem; not even a comma of content other than that. (That article is worth having a look at if only for Granier's own poem 'Haikush'). Irrespective of Duchamp's motives I think Fountain did something very important, it made people re-evaluate what exactly art is. It brought into question context. When something is displayed, placed on the proverbial pedestal, it requires re-evaluation. The latrine was not being used for the purpose for which it was designed nor was it in situ in a Gents and by giving it a name Duchamp was providing a means to consider that lump of porcelain as art. If I found a scrap of paper with 'Ode on a Grecian Urn' torn in half I would still recognise it as a poem, it wouldn’t matter how it was torn. It's not only a poem when included in a collection of poetry or in a poetry magazine. What will the universe do once it has imploded? The only thing left is for it to begin expanding again. It will, of course, bring the baggage of the old universe with it. If there is one thing that proponents and practitioners of minimalist poetry have taught us would be to learn to fully appreciate the word, every word. Imagine if when you were born you were allocated a lifetime's worth of words there and then, and then one day you realise you're starting to run out and you might not make it to the end with your vocabulary intact. That's the thing about words, we never have to worry about running out and yet, just like we do, our words can get tired, especially the ones we use over and over again; they empty themselves of meanings right in front of us. Old age does that too: we can't find the right word for the job; we end up like Beckett's narrator in his deathbed poem asking over and over again, "What is the word?" I sat down a while ago and tried to write a definition that would cover all types of poetry. Of course I was on a hiding to nothing attempting that but in preparing this entry I ran across something Robert Bly said, that he felt every effective poem should have an "ah" factor. I guess if a minimalist poem has that effect on you then it's done its job. The problem is some of them make us go "eh?" or just leave us speechless. In Japan reductionism and miniaturisation have long been the social norm and it is a challenge to cram a lot into a tiny space. I remember when I had my ZX Spectrum how much fun it was trying to see what I could force into the 48K available to me. For example, I used to use variables rather than numbers because they took up a few bytes less. In my writing too I found myself drawn to smaller and more compact pieces. I'll be honest when I'm in a bookshop I'll always pick up a novella before a novel. I think it takes real self control to say what you have to say and get off the page. When does small get too small though? It's an interesting subject and what I found in my research is that there a lot of people out there who are very serious about minimalist forms of poetry. The Japanese equivalent to syllables, morae, are much shorter and carry less information than that of English syllables. Although there is no consensus, most haiku enthusiasts agree that 12 syllables and a 3-5-3 syllable meter (or 2-3-2 accented beats) achieves the same quality as the Japanese form. An excellent demonstration of this can be found on Bureau of Public Secrets site where they present no less that thirty different translations of the same poem, a frog haiku by Matsuo Bashō who is generally regarded as a master of brief and clear haiku. (Trivia: The largest collection of haiku translated into English on any single subject is Rise, Ye Sea Slugs by Robin D Gill, which contains 900 or so poems, all about sea cucumbers, dating back to the 17th century). A lot has been written about the haiku in English but if you want to investigate a bit more then Forms in English Haiku by Keiko Imaoka is a good place to start. There are of course other forms of Japanese poetry such as renga and senryū but haiku far overshadows these as far as the public's awareness goes. The question has to be asked though: how small can a poem get and still be a poem? …I've wondered for years what the smallest unit of poetry could be … and I don't think in all honestly it can be less that two 'words' either forming the poem so the reader has to consider their relationship to each other or one word as the poem and another as the title to contextualise it. While I was researching this post I came upon a number of interesting new – at least to me – terms: kernular poetry, micro poetry, one-word poems and pwoermds. In Bob Grumman's column from Small Press Review, Volume 34, Numbers 5/6 May/June 2002, he defines 'kernular poetry' (coined from "kernel" and "capsular") as "poems less than twenty (or so) syllables in length" and he cites the haiku as a good example "for it is generally a kind of incomplete thought – the sensual expression all thoughts are marrowed with, sans commentary." I think that is as good an expression as any for this kind of poetry. It is probably a fairly decent expression for poetry in general because it makes it clear that the poem requires a reader to complete it and the real talent is to know what you can afford to leave out. To that extent I would suggest that reading 'kernular poetry' is good practice for new readers of poetry because all distractions – "set-ups, amplifications and ornamentation" as Grumman puts it – are omitted. Grumman is the author of Haiku to Lyriku: A Participant’s Impressions of a Portion of Post-2000 North American Kernular Poetry in which he introduces a whole host of wonderful terms: naiku, lyriku, mocku and faiku in an effort to analyse and categorise these tiny poems. is singing in my hands. Robert Grenier is a decent exponent of micro poetry, at least in his early work. Whale Cross Press have provided an on-line version of his work Sentences which originally appeared as an edition of 500 boxed 5" x 8" index cards. Every time you go back to the site the poems/sentences are presented in a different sequence. Ron Silliman has referred to this as "one of the crowning achievements of 20th century poetry". which was actually published separately – along with nineteen others – in Tottel #5 in 1971. I can see a sequence obviously, the next two entries logically being 12 and 21, but I struggle with this as a poem. Where do we go next? 6 and 6? Or 6 and 60? because of my long-time fascination with the sum 2+2=4 as symbolic – in my head at least – of all forms of calculation and the fact that, in my head at least, 4 is 2+2. (It can of course be 1+3 or -2² or √16). I think it comes from the fact that God is love but love is not God. You can't trust the simplest of truths to keep up its end of the equation. In reality I would never write a 'poem' like this because it would annoy more people than it would please. I get it but that's because the poem is incomplete and all the missing factors are in my head. I'm sure if I went back to it a few weeks on it wouldn’t feel half as clever as I might have thought it was when I wrote it. The reason I'm fairly sure I'd read Pound's poem (which has never ceased to delight me) is because there is a tone to my poem which is evocative of his. Both remind me of the mortality of man. I had a habit back then of capitalising certain words (typically 'Truth') in my poems. Only many years later did I learn that Emily Dickinson did the same. (BTW you might want to check out Apparition On My Last Winter Visit To Paris by Reyes Cardenas). I submitted it to a magazine and it was subsequently rejected. The editor made a few pencil notes on the poems she sent back which was helpful. On this one all she wrote was, "This is a neat saying." At the time I was very angry because I considered it a very meaningful and poignant poem. The fact is that unless you know what it's about you're never going to know what it's about. It's not a terrible poem. I actually think it is a far better poem that I even believed then simply because is does not depend on its history to make sense. Death is universal and so are heroes. But now I’ve gone too far. To understand you must experience. What can be experienced can be conquered. I will not dream you any more. (Part two: one-line poems, one-word poems, one-letter poems and beyond). My daughter was over at the weekend which was nice. We talked about her job, her health, kites, what's good on TV and the notion of globalisation amongst other things. She was trying to explain the various definitions of globalisation and I tried playing devil's advocate which wasn't easy because I've got too many opinions. Our main discussion focused on the fact that although one could argue that the world is becoming more and more Americanised day by day, each culture is adapting rather than adopting American ideals and values. There may be a McDonalds in every major city (an educated guess – I've not checked) but you'd have to go to America to get served biscuits with your grub. Biscuits in the UK are cookies. The closest thing to the American biscuit here would be a savoury scone (pronounced skon, not skown or skoon) and you'd have one of those with some jam and a cup of tea. Globalisation to my mind suggests a blending together and there's a lot that needs to happen before we get there. National identities are a major obstacle. A prime example is how difficult Great Britain is when it comes to being European – we still don't have the euro here and we dug our heels in so much over imperial measures that we've been 'allowed' to keep the good ol' stones, pounds and ounces. National identity extends to other areas too and one of those is language and a subset of language would be funny language, i.e. humour. I managed to catch a repeat last week of a Comedy Playhouse production titled 'The Offer' which was originally aired back in January 1962. It featured two characters that went on to become a British institution regularly attracting audiences of around 20 million viewers each week. I am, of course, talking about Steptoe and Son, the most Beckettian situation comedy you could ever conceive, a fact that is especially apparent in that first one-off drama with Harold, the son, threatening to leave his father, Albert, to take up a mysterious "offer" but never quite managing to leave. I was struck by the bleakness of the play. It's often been compared to Waiting for Godot but it is, in reality, far closer to Beckett's much darker play, Endgame. It's fascinating to see the power play between the two characters. I was struck by how nasty Albert was at the start of the play, not that he ever becomes what you might call a pleasant character but there was a darkness there that the writers toned down over the years; he became devious, conniving, and selfish rather than out-and-out nasty. The climax of the play was when Harold loads up the cart with his worldly possessions, all junk of course, but his father won’t let him use the horse. In defiance Harold tries to shift the cart himself. It is heart-breaking to watch him struggle. It reminded me of the much later film One Flew Over the Cuckoo's Nest where Jack Nicholson playing McMurphy tries to lift a very heavy marble hydrotherapy fountain intending to throw it through a barred window to make good his escape. "I've got to go. I've got to get away," Harold says through actual tears. Albert encourages him back in the house telling him he can always leave in the morning but we all know he never will. It's really no different to the plight of Clov in the final scene of Endgame. Perhaps the best illustration of Harold's pathetic plight comes in a Season 7 episode on the series proper, one entitled 'The Desperate Hours', when, after the Steptoes are held hostage by two prisoners on the run, Harold ends up begging the lead prisoner (played by Leonard Rossiter): "Take me with you". PM: Steptoe and Son was, of course, a massive success, and famously Harold Wilson once asked the BBC to delay the transmission. AS: Yes. It used to go out at 8.30, and Harold Wilson maintained that 8.30 to 9.00 was when all the Labour voters went out to vote. So all the Tories used to go out and vote in the afternoon, around teatime, and all the Labour voters had to have their tea, then go down the polls. He said putting Steptoe on at 8.30 would cut his majority down. PM: This was the 1964 General Election? PM: And did they put the programme back? AS: No; and he got in by three seats, I think. The show was such a phenomenal success that other nations started to produce their own national versions, the most successful in its own right being America's Sanford and Son. An early version, starring Lee Tracy and Aldo Ray, never made it past the pilot stage. Then the producers Bud Yorkin, Norman Lear and writer-producer Aaron Ruben put together a test episode with veteran actor Barnard Hughes and New York-based Paul Sorvino which didn't sell. It wasn't until they thought of making the junk dealer and his son black that the pieces really began to fall into place. (This is strange because when Galton and Simpson first pitched the show three years earlier and suggested that they use black actors the idea had been batted down). "In the English version, the father is very caustic, even vicious," says Ruben. "For a lot of reasons, we just didn't feel that attitude was right for Redd, so we made his gentler." (In much the same way, Archie Bunker is a considerably paler shadow of venom and bigotry than his English counterpart, Alf Garnett.) The show's American name came from Foxx, who was born John Sanford and has a brother named Fred. The son's name, Lamont, came from a long-time friend of Redd's. A couple of years back my wife sent away for a boxed set of Sanford and Son. I'd never seen it before. She also introduced me to All in the Family about the same time. 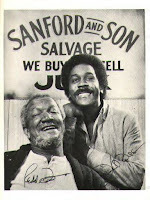 I have to say I hated both shows but especially Sanford and Son. What I couldn't stand were the very early scripts were ones written by Galton and Simpson and only slightly tweaked for American TV. I had heard Albert and Harold utter these very words and these actors simply weren't doing it right. Later episodes were better, once I got used to the characters, but they were so tame, Steptoe-lite. And yet Sanford and Son was enormously popular during most of its run, and was one of the top ten highest-rated series on American television from its first season (1971-72) through the 1975-76 season. Over the years other shows have been adapted for American audiences: Till Death Us Do Part became All in the Family, Man About the House became Three's Company, The Office became The Office (or The Office: An American Workplace as it's called when it's broadcast over here). Thankfully Red Dwarf never made it past the pilot stage (I would love to have seen Terry Farrell play 'Cat' mind). How come Shakespeare still manages to get performed unedited after all these years? The question is does it work the other way round? Unfortunately. In 1996 the Brits got treated to Married for Life, an abysmal remake of Married with Children where Russ Abbot took on the iconic Al Bundy role and, despite being of similar physical shape and a perfectly capable comic actor, the series died a death. I only saw one episode and, as it happens, it was an exact copy of the American script, word for word, one I'd seen. So why didn't it work? The same happened when The Golden Girls was reimagined as Brighton Belles. Despite featuring the talents of seasoned actresses like Wendy Craig (who had worked it successful and long-running sitcoms like …And Mother Makes Five, Not In Front of the Children and Butterflies) it also failed to survive more than ten episodes. Why? Al Bundy is an archetype. There is nothing especially American about him. There are henpecked husbands and put-upon fathers throughout the world just as there are feisty, independent-minded old women who insist on wearing purple and going down disgracefully. I've never really got the need to rework already successful shows. They're doing it just now with Life on Mars. Why? I read Catcher in the Rye when I was about fourteen years old and I had no idea what prep school was and I didn't need to. It affected me every bit as much as Billy Liar had (or would – not sure which came first) and can you imagine that being set in The Ozarks instead of Yorkshire. Beckett's plays aren't set anywhere. Perhaps that's why their appeal is so global. Is there a joke you could tell in Scotland that they'd get in America, in Germany, in Russia and in Iraq? I doubt it. I was once in a room, my living room as it happens, with a load of a friends and an American guest. While we were rolling about on the floor laughing this poor sod just sat there with this bemused look on his face uttering the occasional, "Excuse me?" which only made us laugh all the more. How could he not get the joke? The thing is it wasn't as if we were joking about particularly Scottish or even British things. We were just taking the mickey out of each other. People from The Republic of Ireland, the UK, Australia and New Zealand expressed a strong preference for jokes involving word plays; Americans and Canadians much preferred gags where there was a sense of superiority; many European countries, such as France, Denmark and Belgium, liked jokes that were somewhat surreal but also enjoyed jokes that involved making light of topics that often make us feel anxious, such as death, illness, and marriage. Interestingly, Germany was the exception. Germans did not express a strong preference for any type of joke (which does not mean they have no sense of humour as is often argued) rather they tend to find a wide spectrum of jokes funny. 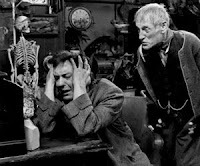 Anyway, to get slightly back onto track, last night on BBC4 we were treated to The Curse of Steptoe, a play looking back on the reportedly difficult relationship between the two actors who brought Harold and Albert to life. If you missed it you'll be able to catch it again on their website via the BBC iPlayer. The show was preceded by an interview with Galton and Simpson which was interesting but revealed nothing I'd not read or heard before. Everyone is supposed to have at least one good book in them. My mother did. She wrote poems. I don't know when exactly she started but I suspect it wasn't until she was in her late fifties at least. She only ever mentioned them towards the end of her life but never let us read them. After she died I found two old school jotters in which she had written her poems – one was my sister's, the other belonged to my sister's best friend. There weren't many of them, barely enough for a slim chapbook, that's all. But once we got back home, my wife transcribed all of them onto her PC, made them look pretty and printed out the tiniest run, five copies, one for us, one for my daughter, one for my mother-in-law and one each for my siblings. She called the collection Doodlings, a word taken from one of the poems. It seemed appropriate. The style is old-fashioned, the technique unspectacular but none of that is important. I will treasure them. I wonder how many other people out there are sitting there with jotters like that. One of my favourite authors is Richard Brautigan. I may have mentioned this before. I don’t mention him nearly as often as I name drop Beckett and that saddens me because I think he is a wholly underrated author. I've never come across any of his books in the UK other than once in a second hand shop in Saltcoats. And that is a shame. Most writers have authored a book that I might be tempted to read twice, even three times, but there isn’t a thing by Brautigan that I couldn’t read over and over again and never tire of. My favourite is In Watermelon Sugar. I don’t think it's necessarily his best book but it was the first I read and as such will always have a special place in my mind. He could easily have written about the remorse felt over putting a daddy longlegs out a window to die. in tin foil and match boxes. in pieces of red cloth. There is an innocence about his writing and there was an innocence about my mum. She would have enjoyed his style though maybe not always his subject matter, but she would never have read anything by him because it wasn't real. She never read fiction nor did she write it. Her poems were all biographical. THE EGG LAYED TWICE by Beatrice Quinn Porter. The author said this collection of poetry summed up the wisdom she had found while living twenty-six years on a chicken ranch in San Jose. "It may not be poetry," she said. "I never went to college, but it's sure as hell about chickens." THE CULINARY DOSTOEVSKY by James Fallon. The author said the book was a cookbook of recipes he had found in Dostoevsky's novels. "Some of them are very good," he said. "I've eaten everything Dostoevsky ever cooked." MOOSE by Richard Brautigan. The author was tall and blond and had a long yellow moustache that gave him an anachronistic appearance. He looked as if he would be more at home in another era. This was the third or fourth book he had brought to the library. Every time he brought in a new book he looked a little older, a little more tired. He looked quite young when he brought in his first book. I can't remember the title of it, but it seems to me the book had something to do with America. "What's this one about?" I asked, because he looked as if he wanted me to ask him something. "Just another book," he said. I guess I was wrong about him wanting me to ask him something. My mum's book would have been at home there though she would have chided the librarian for living in sin and probably told his girlfriend to get some clothes on. You can read the entire first chapter on-line here and it seems a young lady called Olivia Pepper is intending to put on a dramatisation of the work in the San Francisco Bay Area later this year or possibly early in 2009 according to an e-mail I've recently received from her. You can find out about it on her MySpace page. In homage to Richard Brautigan, The Abortion's concept was put into practice in the form of the Brautigan Library. It was housed originally in a section of the larger Fletcher Free Library in downtown Burlington, Vermont but there are plans some day to relocate to the Presidio Branch of the San Francisco Public Library. The library accepts only unpublished manuscripts. The sad thing is the library can’t be visited any more. It’s a bit in limbo. The San Francisco Public Library might be the new home but nothing has been confirmed yet. It would be a shame to see this project die a death. I don't know the origins of the Brautigan Library here in Burlington, but the plaque said "The American Forever, etc. presents The Brautigan Library A home for unpublished literature" There is also a note from Garry Trudeau on a nearby wall that says something to the effect of "neat idea, don't quit your day jobs." The books are mainly typewritten with the occasional handwritten or word processed book. They have almost all been bound with dark blue library binding. They are loosely grouped into categories such as Humour, Nature and Meaning of Life. I'm not sure who decided on the classification system. There is a small card catalogue on top of the poetry dispenser which has the books categorized according to Title and Author, but the cards are in no particular order. Well, they are grouped according to first letter, but the letters themselves are out of order. It's hard to tell if this is purposeful or accidental but you could look at every book in a long afternoon, so it hardly matters. Some of the works there already include the short-story collection Sterling Silver Cockroaches, the economic treatise Three Essays Advocating the Abolition of Money and the poetry collection A Shoebox to Hold the Unknown. A few months ago, we received a two-page manuscript from a woman who drives a school bus. It was filled with spelling errors and incomplete sentences. While trying to decide whether or not to send it back for corrections, I finally just read it, as it was written. The short story tells of sunlight beaming through a snowstorm "like a diamond patch." So beautiful was this moment that she pulled the school bus off the side of the road so her passengers could enjoy it. I learned something in reading her story: Ideas with vision will usually survive a less-than-perfect presentation. But the most elaborate presentation in the world is no substitute for vision. 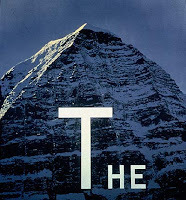 An online-version, although it is not connected to the Burlington library, can be found at the Brautigan Virtual Library where you can deposit your book. It only has seventeen titles listed but looks like it's still on the go. A WRITER IN EXILE FROM MUSKOKA by Martin Avery. This is a sequence of poems written to celebrate the prospect of going home, moving back to Muskoka, after a quarter century of living like a writer in exile from Muskoka. THE BALLAD OF ANGELA'S STORY by Larry Kimmel. "A single narrative poem in ballad form, about "Angela" and her account(s) of her day's adventure(s)"
There is another venture, a British initiative in the same vein, called Library of Unwritten Books. Inspired by the non-selective ethos of the Brautigan library, Caroline Jupp and Sam Brown founded Library of Unwritten Books in 2002. The books are collected through random encounters in parks, city streets and public places, and by invitations to visit literature festivals, public libraries and community centres. People are prompted to spontaneously record their unrealised ideas, fictional tales, and personal histories. There is no selection procedure and all contributors to the library receive a free copy of their own unwritten book. Limited edition mini books are published from transcripts of the interviews, which are made available to readers at exhibitions and special events. Touring book-boxes also display the books at everyday venues such as cafés, pubs, libraries and launderettes. I think it is a lovely idea. I liked MY SECRET MARBLES by Marble Mya (aged 9) best. I think that would have been my mum's favourite too. She loved children, children and animals especially cats; grownups she could take or leave. There's a nice BBC article about the library here. In 1984, at age 49, Richard Brautigan died of an apparently self-inflicted gunshot-wound to the head in Bolinas, California. My mum would have been annoyed at him; suicide is wrong. My mum died in 1998 from pneumonia. Since this obviated the need for her to die from the incurable cancer from which she was suffering, I really couldn’t find it within myself to be annoyed with her. A shame that neither of them will read them. And a shame they won't write any more books too. When I learned that Woody Allen was bringing out a new book I bought it sight unseen. I bought his last film Scoop without even bothering to read the reviews of it but I've not got round to it yet. If he released a set of knitting patterns I'd buy it. Now don't get me wrong, I'm not one of those fans who think their hero can do no wrong – like most people I am all too aware of the failings of his films of the early noughties – but I also know that a 'bad' Woody Allen film is a decent film by anyone else's standards. I own them all bar a couple of the very early ones and have watched most of them many times over. I'd be hard pressed to name my favourite but my top five would likely include Hannah and Her Sisters, Play it Again, Sam and Sleeper and two others probably Manhattan and Radio Days but ask me again tomorrow and who knows? I also own all of Allen's writing, at least all that has made it into book form (I even had the comic strips once upon a time) and that includes his latest collection Mere Anarchy so I thought I'd try and do the same there. From Without Feathers I'd have to go for 'The Whore of Mensa'; from Three One-Act Plays, 'Death' (which I dragged my daughter to see in the theatre); from Getting Even, 'Death Knocks' and from Side Effects, 'The Kugelmass Episode'. But would I pick anything from Mere Anarchy? I have to say that I would and it would be 'Strung Out' a wonderful romp through the field that is quantum physics. Allen's latest collection, culled in part from his articles for The New Yorker, did not receive universal praise when it was released and the main criticisms are all valid. The vocabulary is more involved – the man has obviously been learning a new word a day for a long time – and the Yiddishisms ("a tsimmes of talentless trombeniks" – love the alliteration), are far more prevalent than in any of his other work, a bit too prevalent for my tastes. The satire lacks a bit of bite but it is what it is; he's really only comparable to himself and maybe S J Perelman, another New Yorker contributor of note, who, like Allen, would also take something he read in an issue, satirise it and mail it right back to them. Allen's subject matter may have broadened slightly but the approach is the same ol' same ol' tried and tested. The stories are all inhabited by characters (or variations of the same caricatures to be honest) who all have to contend with a perverse universe that is out to get them. And the universe is happy to use whoever is on hand to do its dirty business, sharkish agents, cowboy builders and internet opportunists all with oh-so-familiar Allen-esque monikers: Max Endorphine, Hal Roachpaste, E. Coli Biggs and Moe Bottomfeeder. There is a veneer of realism to the book but only a veneer; when one character moves to India it is as if a backcloth has dropped and we're in India, the accents don't change. I remember watching a documentary on Jewish humour a good few years ago (distinguished by a performance of some Yiddish Blues) but was annoyed to find no mention of Woody Allen in the entire programme. I wonder if this is perhaps because his more overt Jewish characters are never sympathetically presented; he's quite nasty with them in fact. One can see why anti-Semitism charges might be levelled against him as he does little to recommend either the faith or the lifestyle of its practitioners and, in that respect, these stories do him no favours. The time between the two pieces is at least 35 years; of course the voice has changed (he even makes a similar crack about a noisy singularity later in the story) but it's still patently the same man with the same sense of humour. Yes, the earlier stuff is a little punchier, yes, but also a lot sillier. It's like comparing Zelig to Take the Money and Run – there is a world of difference in his approach to humour in these films despite the fact they are both filmed in a documentary style. Here's a story you're not going to believe. I shot a moose once. I was hunting in upstate New York, and I shot a moose. And I strap him onto the fender of my car, and I'm driving along the West Side Highway. But what I didn't realize was that the bullet did not penetrate the moose. It just creased his scalp, knocking him unconscious. And I'm driving through the Holland Tunnel and the moose wakes up. So I'm driving with a live moose on my fender and the moose is signalling for a turn. And there's a law in New York State against driving with a conscious moose on your fender, Tuesdays, Thursdays, and Saturdays. And I'm very panicky. And then it hits me—some friends of mine are having a costume party. I'll go. I'll take the moose. I'll ditch him at the party. It won't be my responsibility. So I drive up to the party and I knock on the door, and the moose is next to me. My host comes to the door. I say, 'Hello, you know the Solomons.' We enter. The moose mingles. Did very well. Scored. Some guy was trying to sell him insurance for an hour and a half. The following morning, the Berkowitzes wake up in the woods in a moose suit. Mr. Berkowitz is shot, stuffed, and mounted at the New York Athletic Club. And the joke is on them, 'cause it's restricted. Now, in the debate over whether everything is made up of particles or waves, Miss Kelly is definitely waves. You can tell she's waves every time she walks to the watercooler. Not that she doesn't have good particles, but it's the waves that get her trinkets from Tiffany's. My wife is more waves than particles, too, it's just that her waves have begun to sag a little. Although Allen does tackle up-to-date subjects like selling prayers on the internet, on the whole there is an old-fashioned tone to the collection. 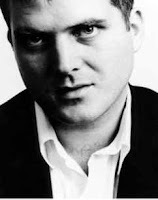 Then this is the guy who unashamedly puts tunes from the thirties and forties in his present day movies and why not. The other thing is that this is a collection. These were written as stand alone pieces and reading more than a couple at a time does them no favours. It emphasises their sameness because, as I've already said, the backdrop may change, the names may change but the characters are drawn from the same stable he has been using for years and a horse by any other name is still a horse and I think we know where that's leading so I'll quit while I'm ahead. There are no belly laughs in this new book but I'd be hard pressed to think of any book where I have laughed out loud. I don't laugh out loud at most of his films (Sleeper being a memorable exception) but I guess that's me; I smile appreciatively. The humour in this book is clever in every sense of the word and only very clever people are going to get everything; the sad thing is that these are the ones most likely to look down their noses at it. A lot of people have found cause to look down their noses at Woody Allen, some not appreciating the directions his film-making has taken, others making too much of his public troubles; it should not surprise us that people might want to pick holes in his writing and invite people to peek through them: "See, there's nothing there!" Would I recommend the book? Yes, I would. It will be appreciated best by those familiar with Allen's work, especially his early work, particularly the prose work. If you're on a fixed budget though and have never read anything by him go for The Complete Prose (recently reprinted as The Insanity Defence: The Complete Prose) – much better value for money. I would call Woody Allen’s writing ‘short stories’ in the same way Raymond Carver wrote short stories, but somewhere along the line we decided that these were not the same thing. Benchley, Perelman, Thurber and, later, Allen were all respected as writers, not ‘merely’ as comics. At some point, though, we began to codify the ‘short story’ as something that resembles the real, that aspires to verisimilitude. Mere Anarchy? There is nothing mere about this book apart from the fact it took him a mere twenty-five years to get round to it. To conclude, two lengthy excerpts, one from the new collection and an earlier one to compare it with. To my mind everyone should know this but for those who don't, Woody Allen (born Allen Stewart Konigsberg; December 1, 1935) is a three-time Academy Award-winning American film director, writer, actor, jazz musician, comedian and playwright. His large body of work and cerebral film style, mixing satire, wit and humour, have made him one of the most respected and prolific filmmakers in the modern era. 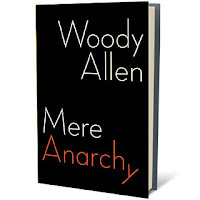 Mere Anarchy comes out in paperback in June but you can already pick up copies of the hardcover for not unreasonable prices.